Tina Wohlwend, 50, certified therapist in a health practice in Binningen/Basel. Our well-being strongly depends on physical mobility. If the latter is reduced, medical therapists such as Tina Wohlwend can help restore it. In such a case, however, prevention is better than a cure. Tina, what is the main task of a medical therapist? Generally speaking, we strive to enhance our patients’ quality of life by improving mobility and thus well-being. When does a patient normally come to you? Usually in the case of musculoskeletal disorders, due to illness, work or sports injuries. The afflictions of old age or physical stress are further possible reasons. We distinguish between active and passive therapies. Active therapies are, e.g. muscle building, stabiliza­tion of the joints and kinesiatrics. Passive therapies include massages, ultrasound and fango. How can we avoid the need for treatment? If we exclude illness and accidents, a balanced diet and daily exercise are a good recipe. Physical mobility, however, depends on properly functioning joints and elastic tendons and ligaments. Swimming, Nordic walking, gymnastics and similar are good preventative measures. 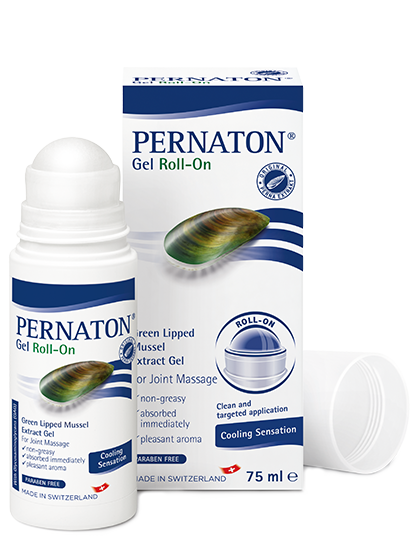 For people over the age of 40 we additionally recommend regenerating the body with original Perna extract from New Zealand green-lipped mussels by internal and external application. Original Perna extract supplies valuable nutrients for essential support, among other things, of joint function.